You know what this is? 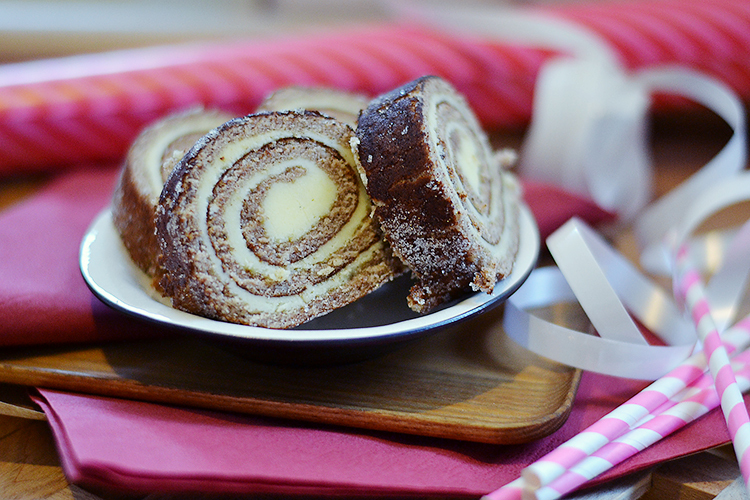 It’s gingerbread swiss roll with buttercream. Or a tasty log. 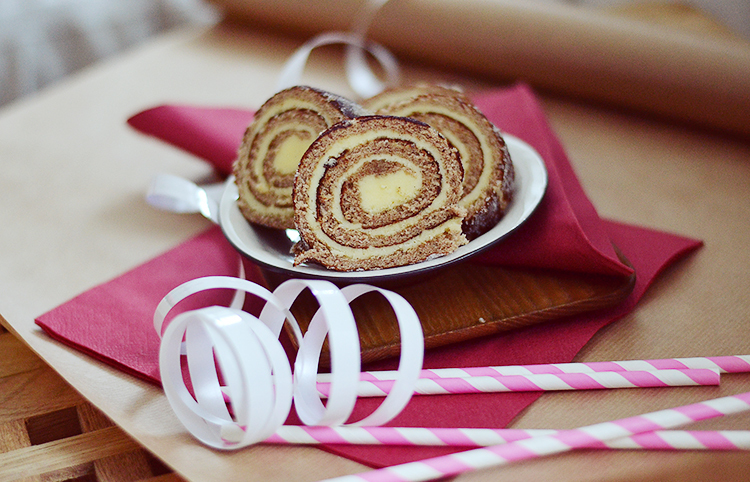 Or pepparkaksrulltårta, as we call it in Swedish. Whatever. What you really need to know is that it’s fan-freakn’-tastic. 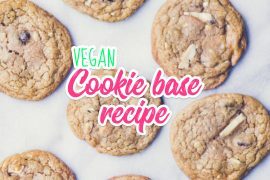 So you should bake it. Sugar and eggs first. Let that mixer rip for a good minute or two. 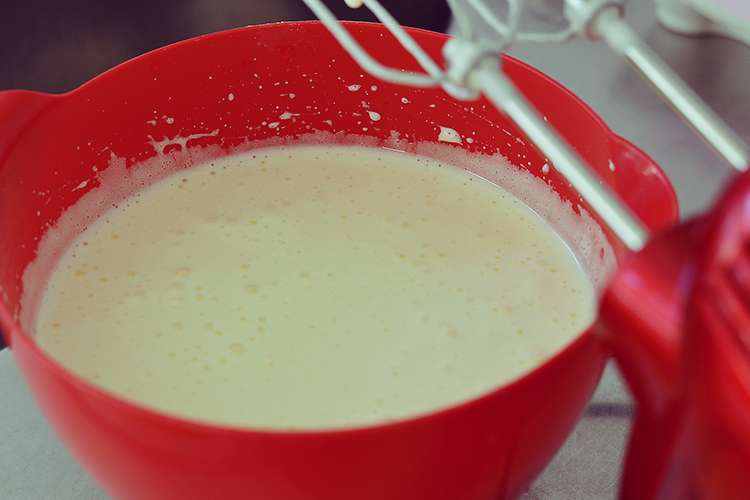 You want this batter really nice and fluffy. It should puff up and double in size. This is very important because it’ll make your cake all fluffy and nice, and obviously that much better. In a separate bowl, combine the dry ingredients and those holiday spices. 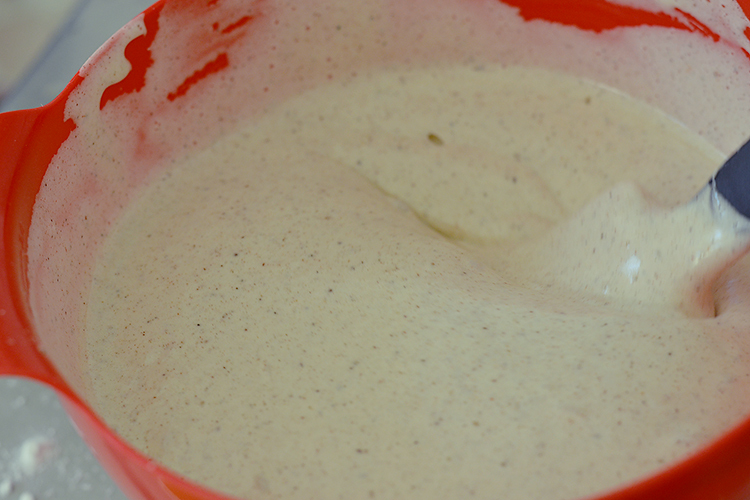 Grab a spatula and swirl the egg mixture and dry powders together. Then pour it all onto a baking sheet lined with parchment paper and use your spatula to even it out. While your cake is in the oven doing its thing, spread a piece of parchment paper on a clean surface (here’s a tip: smudge some left over cake batter under the corners of the parchment paper to prevent it from slipping). Then sprinkle sugar all over it, go on now. Pull your cake out of the oven and (carefully) flip it face down onto your sugared parchment paper. 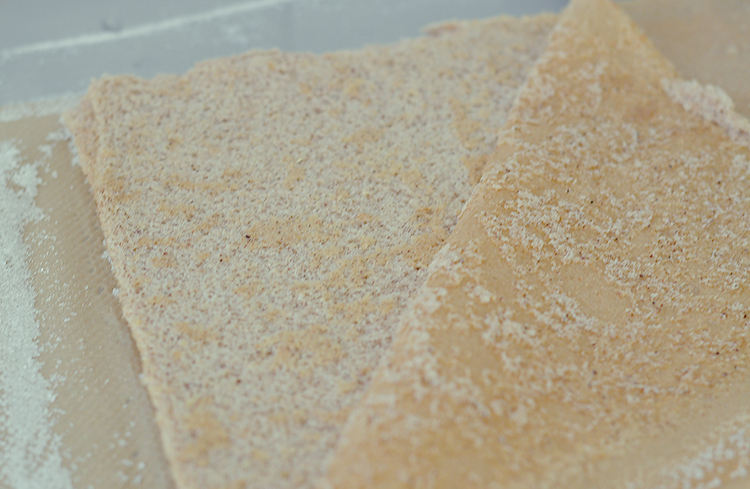 Grab a brush and a glass of cold water and brush the parchment paper lightly with the water. Carefully peel it off your cake. 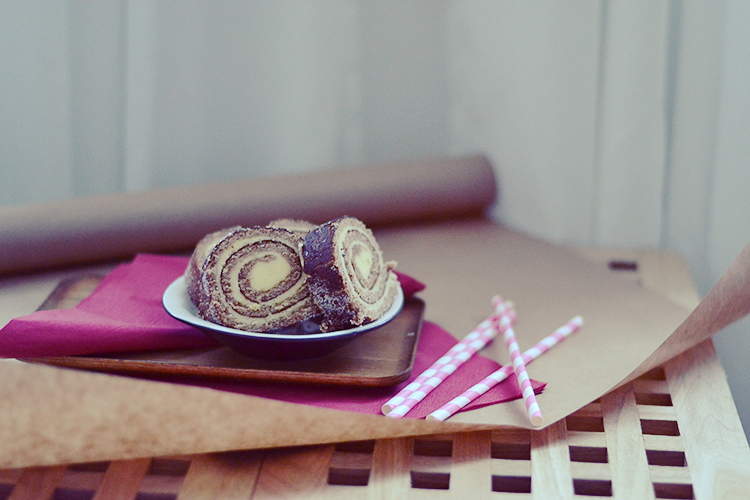 Leave the cake to cool completely. 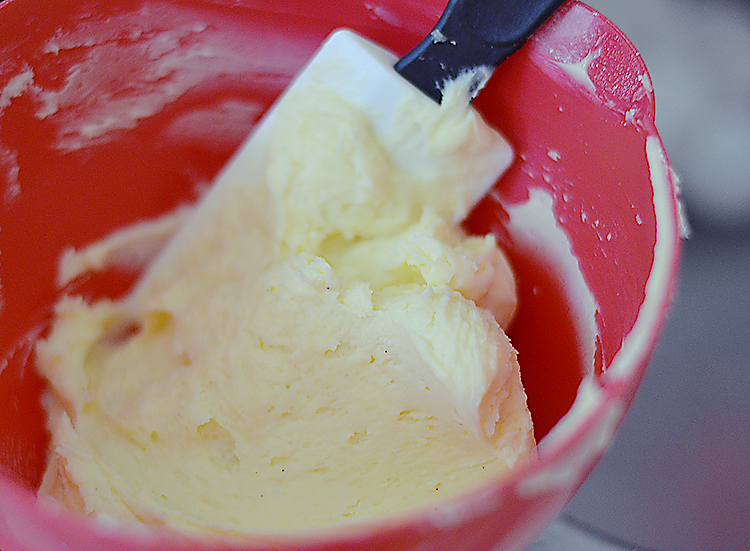 While you wait for your cake to cool, whip up your buttercream. Mmm, buttercream. 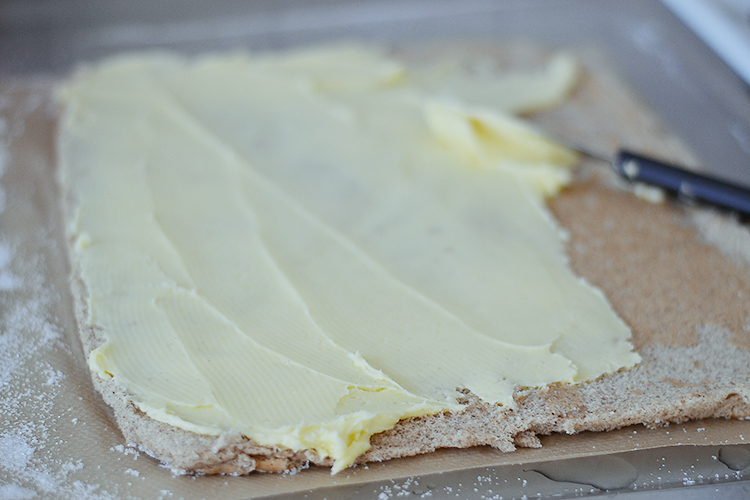 Once completely cooled, spread the buttercream evenly across your cake. Make sure you get all the way out to the edges – you don’t want someone to end up without! 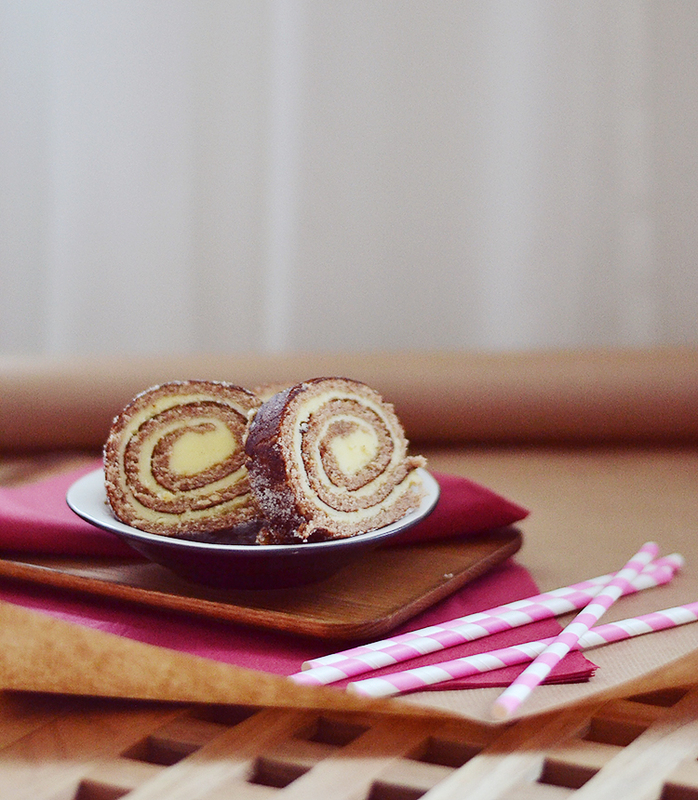 Roll up your cake like a log. 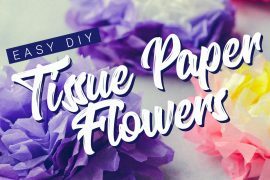 I find that using the parchment paper as support in the rolling process helps. Don’t freak out if your cake cracks a bit on the surface, that’s just how it rolls (pun intended). Looks more like a log that way anyway, doesn’t it? Which is festive… or holiday-ish, or something. Whatever, it tastes good. And there you have it. How easy was that? Slice it up and dig in! 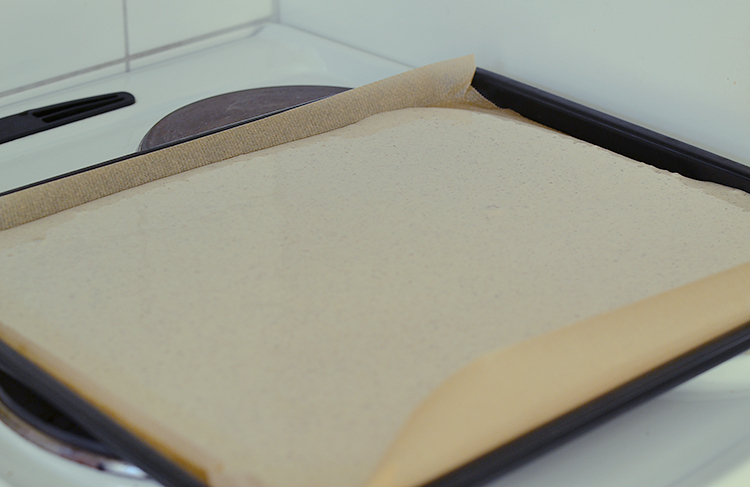 Set your oven to 250 C / 480 F and line a baking tray with parchment paper. 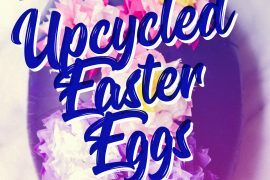 Whisk the eggs and sugar with an electric mixer for 1-2 minutes on full speed. You want the batter really light and airy. 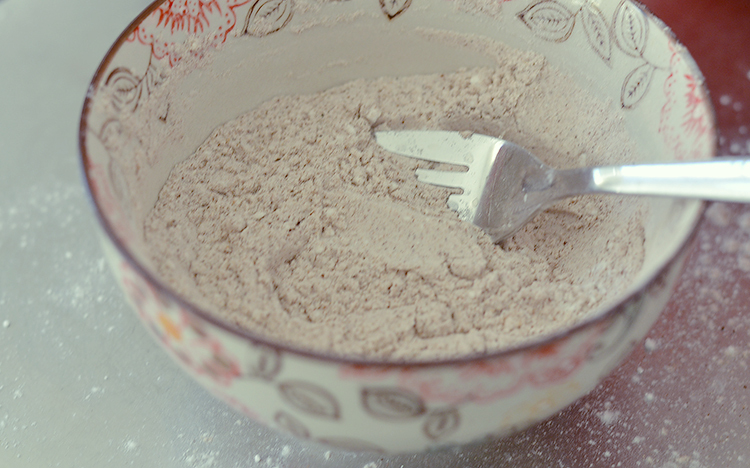 In a separate bowl, sift together the potato starch, baking powder and spices. Use a spatula to fold the wet and dry ingredients together. 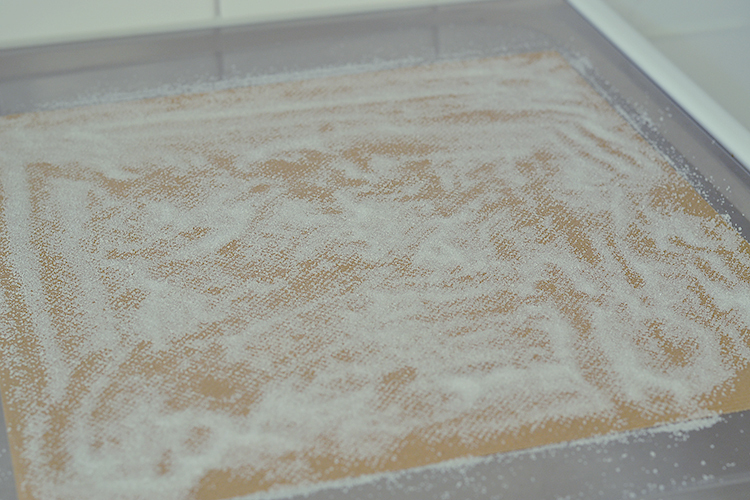 Pour the mixture onto the baking tray, using the spatula to spread it out evenly across the tray. Bake in the oven for 5 minutes. 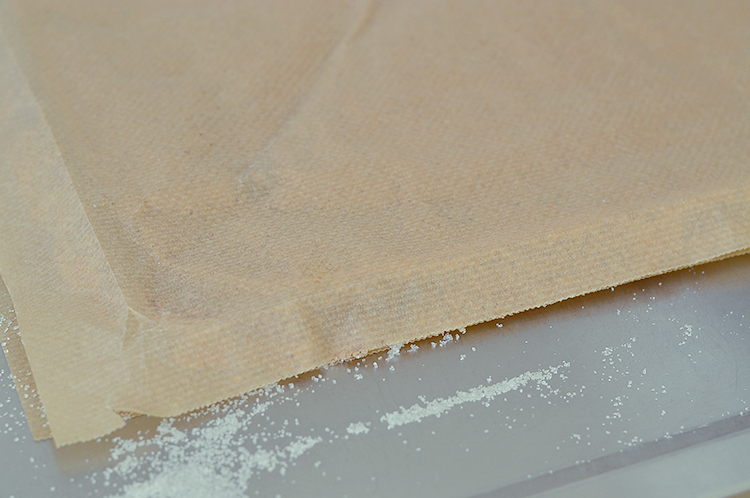 While the cake is in the oven, spread a piece of parchment paper on a clean flat surface and sprinkle it with sugar. Get the cake out of the oven and carefully flip it face down onto the sugared parchment paper. 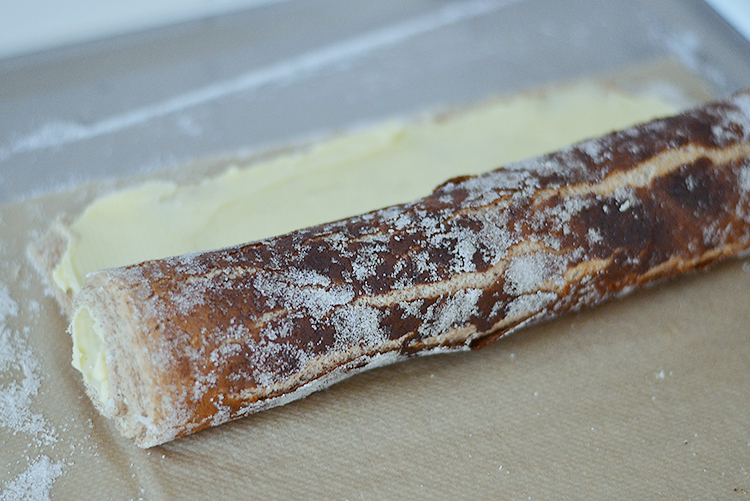 Then brush it with cold water and carefully peel the parchment paper off the cake. Allow the cake to cool completely while you cream together all the ingredients for your buttercream. 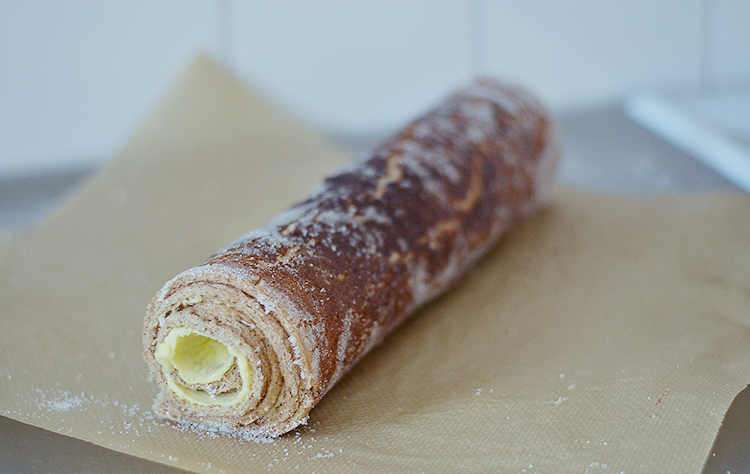 Once the cake has cooled, spread the buttercream evenly across the entire surface of the cake, then roll it up. Store the cake in the fridge until serving, the cake is best served cold so the buttercream is hard.